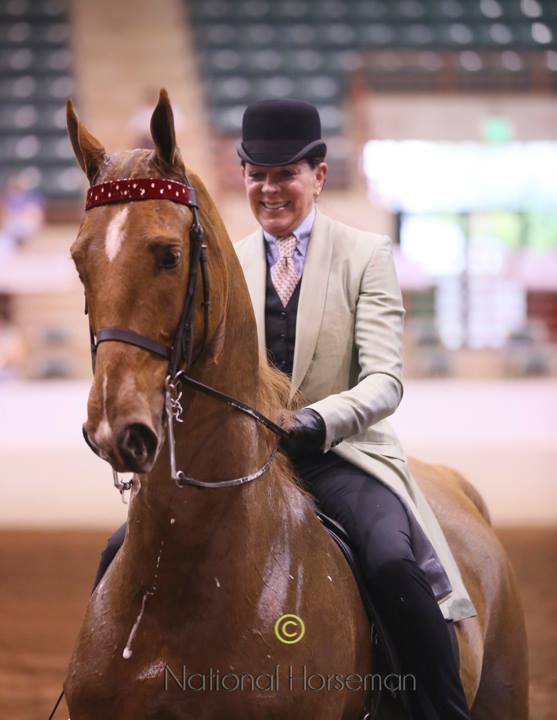 A love of the American Saddlebred drives everything we do at Carriage Lane Farm. These magnificent animals are not only beautiful to watch, they are a joy to ride, drive, train and experience in every way. They are our "grand passion," and we invite you to make them your grand passion, too. 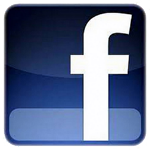 Our goal is to provide our customers with a quality experience measured in our efforts, not in competition results. Blue ribbons and titles are nice, but we believe they are secondary to helping our horses and riders perform to the best of their abilities. That means achieving maximum performance while enjoying the experience. 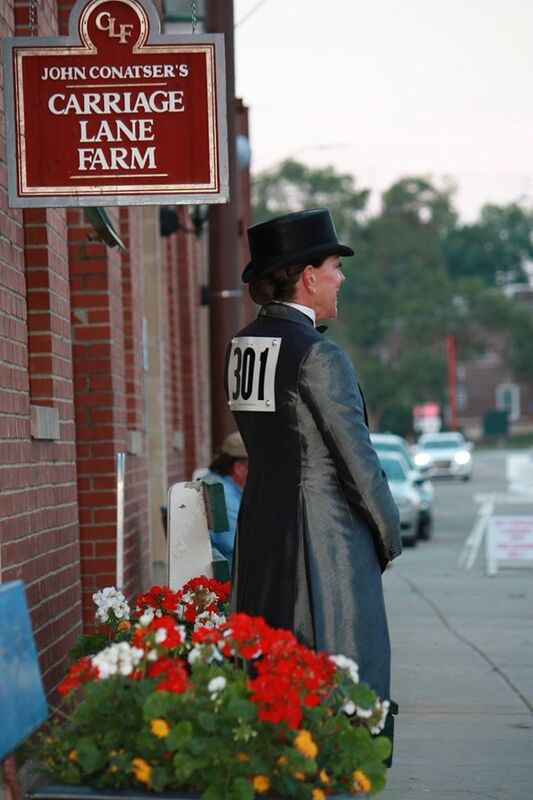 Our barn is a family — a family of people devoted to the American Saddlebred — a devoted group that comes together in its shared interests and passions. or John (859) 421-0758 today to ignite your passion. In honor of Lexington Junior League's final performance at The Red Mile, Carriage Lane Farm remembers the great CH Shaman, pictured above winning Lexington's 3-Year-Old 3-Gaited Stake in 1978 with John Conatser in the irons. 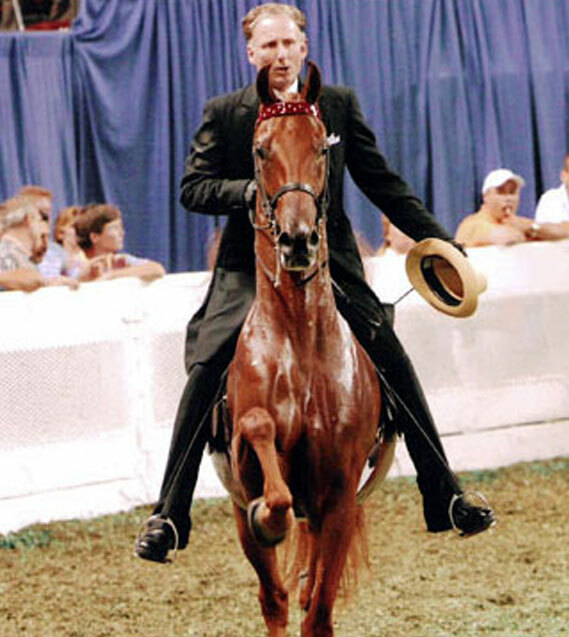 John and Shaman also won the 3-Year-Old 3-Gaited Stake at Louisville that same year, and Shaman went on to a distinguished career that included World's Championship wins in the Amateur 3-Gaited Over 15.2 Stake, Ladies 3-Gaited Over 15.2 Stake (twice) and the Ladies 3-Gaited Championship (twice). In honor of Lexington Junior League's final performance at The Red Mile, Carriage Lane Farm remembers CH Shaman, pictured above winning Lexington's 3-Year-3-Gaited Stake in 1978 with John Conatser in the irons. 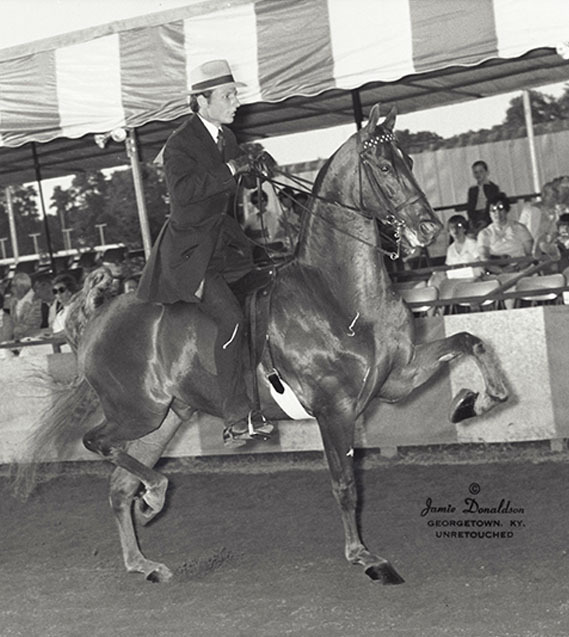 John and Shaman also won the 3-year-Old 3-Gaited Stake at Louisville that same year, and Shaman went on to a distinguished career that included World's Championship wins in the Amateur 3-Gaited Over 15.2 Stake, Ladies 3-Gaited Over 15.2 Stake (twice) and the Ladies 3-Gaited Championship (twice).